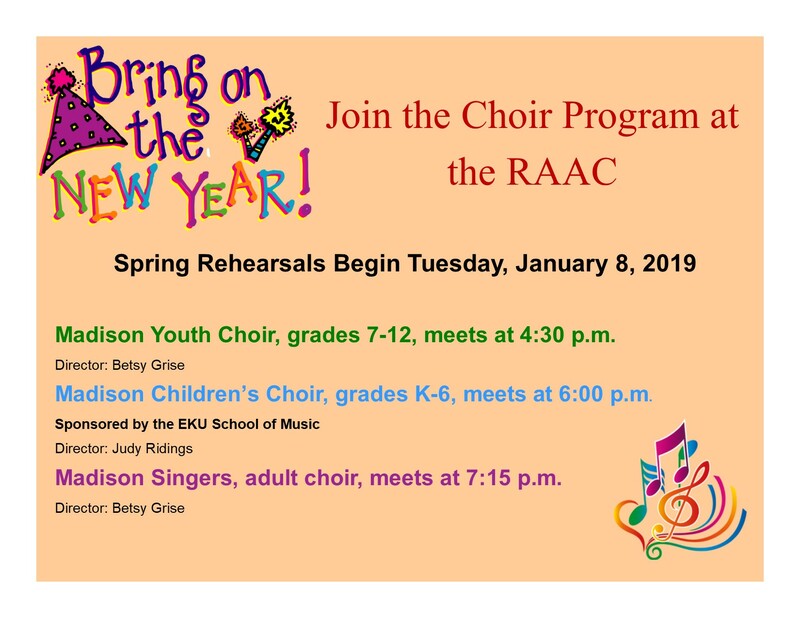 Tuesday, January 8, 2019 is the first reshearsal for all three of our choirs. Madison Youth Choir, 4:30-5:30 p.m., grades 7 to 12. Betsy Grise is the director. Madison Children's Choir, 6:00-7:00 p.m., grades K to 6. Judy Ridings is the director. Madison Singers, 7:15-8:30 p.m., adult choir. Betsy Grise is the director.